Video interview: What is data wrangling? 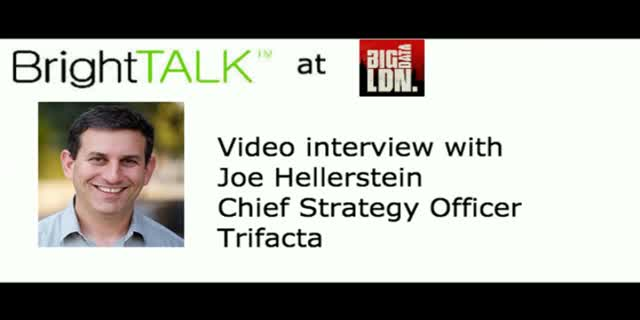 Listen to our interview at Big Data LDN with Joe Hellerstein, Chief Strategy Officer at Trifacta. - As the founder of Trifacta, tell us a bit about your company and just what is data wrangling? - How does it differ from ETL? - You have just announced a new server edition of Trifacta, can you tell us more this? - Can you give us some examples of how your customers are leveraging Big Data? - What makes a big data project successful? - What advice would you give to companies starting out with a big data project? - What are the biggest hurdles to overcome? - What use cases are the most prevalent at the moment and will that change over time? Title: Video interview: What is data wrangling?